Home Talk Were Egyptian Tent Makers the first Quilters? Applique Patch Work Amazing Craftsmanship. Were Egyptian Tent Makers the first Quilters? Applique Patch Work Amazing Craftsmanship. This gives some insight to an art form that most of the world doesn’t know exists. When we come across something this beautiful we have to share. 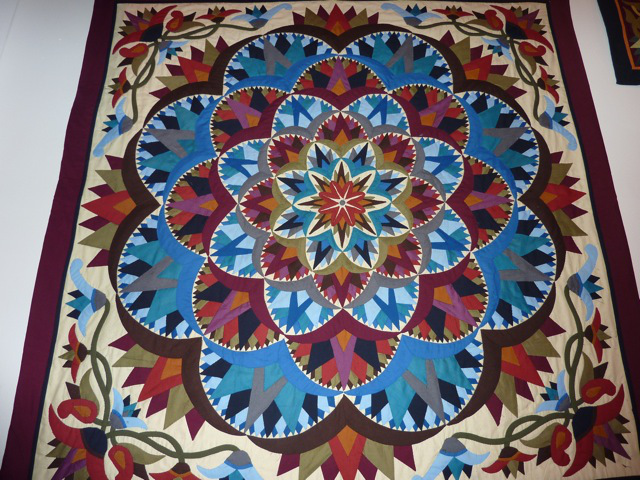 The reason these artists are called tent makers is because these beautiful appliques are sewn to the inside of tents. The “quilt” is stitched through the front applique and middle background onto a heavy canvas like backing. This backing was, at one time, the outside wall of the tent. They don’t penetrate the canvas material but only stitch to the surface of it. Hope your enjoy learning about this beautiful artform. Oh my! This is spectacular! Especially love the color combinations!